Watch two minutes of an interview CNN's Wolf Blitzer broadcast with Kentucky's libertarian (whacked out) Senator, Rand Paul. Paul has a tendency to talk himself into corners without the wherewithal to extract himself without embarrassment. I offer he did so with Blitzer. When asked a direct question, Paul embarked on a two-minute diatribe clear focused on providing personal interference for Trump. Do you believe it was good that the President threw his intelligence community under the bus and sided with Putin? Oh, there is more. Do you recall Paul with Rachel Maddow talking himself into admission he believes businesses should have the right to deny services to individuals? His shrouding cloak was "Private business owners". Yes, of course, come into my establishment with no shoes and nos shirt, without question, I will ask that you leave. But, by law, there are restraints which reach into our history. Paul's comments to Maddow gave an indication he might have issues with what follows. I won't link the segment here as it is very long and the epicenter came after 15 minutes of rambling garbage from Paul. He performed like an archetypal politician with an agenda. We will revisit this post should CNN publish more of Paul's foolishness. Let's end for now with a reaction from a former White House/Pentagon official and former naval admiral. And here is how one, a real US President, deals with the Russian Dictator. You know the story of Mr. Khan and the story of his father and mo0ther since the Democratic Party Convention. We won't spend minutes on video patriarch Khan's initial convention speech and the many subsequent appearances on every cable network in America. In some cases, he has appeared on multiple days with increasingly dire messages regarding Donald Trump. All video is readily locatable via a simple Google search. The purpose of this piece is to highlight the utter ridiculousness of the Trump campaign. Well, you say we do that rather consistently of late. Of course, but today we are going to focus on the campaign's flagship cable news talking head (predominate a CNN booking talking head): Katrina Pierson. We are focusing on Pierson because she seems to embody the most incompetent of all Trump campaign staff. Pierson's background is that of a Texas Tea Party operative who obviously also has a reputation of "running her mouth." She also has a background in the archives of the Texas criminal system for (1997). Shoplifting while accompanied by her young son. Thus, judgment was, and is not, a trait that we can comfortably assign to Pierson. Moreover, her penchant for literally spewing random inane and incoherent statements shines another light on Trump's chief national spokesperson. As a spokesperson person fails miserably. Granted, Pierson operates well within the campaigns and the GOP behind the scenes strategies in working to recover every verbal ball Trump dumps on his supporters. Yet, she often also fails to fully understand the intricacies and nuances imbued in (daily) "circle the wagons around Trump" strategies. Example. It is obvious to any who follows news or current events must now know the GOP/RNC and Trump campaign had decided to respond to any questions about the Khan family with deflective remarks about President Obama and his former Secretary of State Hillary Clinton. Strategy is strategy and it is critical to any political campaign. We should wonder why the campaign would advance a motor-mouth campaign spokesperson who doesn't understand the deep basis for the strategy? If the strategy is to blame Obama and Clinton for the Kahn family death while serving our nation, failing to loop timing into the strategy is only possible via the less competent of surrogates. Pierson is certainly a less competent national campaign spokesperson. On CNN's The Situation Room, Wolf Blitzer seemed to question Pierson into a confused knot and yes, her incompetence and a lack of knowledge failed in closing the surrogate loop. She flat out stated the Obama's and Hillary Clinton "rules of engagement" changes led to the death of Captain Khan. Problem? Well, watch the segment and then I will share the problem if you do not already recognize her inept surrogacy. There is a very obvious problem with this, of course: Khan was killed by a car bomb all the way back in 2004. During that time, Clinton was a senator for New York and Obama wasn’t even a senator yet. The brief bio at the top of this pages lists Captain Khan death as having taken place in 2004. 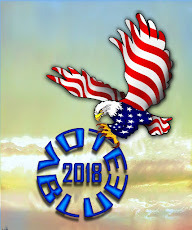 If you are into there yet, I ask you to think about when Senator Barack Obama won election as the nation's 44th President and when he appointed Hillary Hillary Clinton as his Secretary of State. Does the year 2008 and 2009 come to mind? The day after House Oversight committee Chair, Jason Chaffetz (R-UT), exposed his committee as a fraud and laid his character and values before the world, he appeared on CNN with Wolf Blitzer. The day before Chaffetz ensnared himself in his own 'spider web' via posting a chart to make his point and then lying about the source of the data from which the chart was constructed. His chart tripped him-up as follows. Take a moment to watch a 1:38 minute segment regarding Chaffetz's "gotcha " chart and how it was presented at the hearing. It seem a 'clean-up' segment on CNN was in order. Watch and read as Chaffetz, head in hand, angrily worked through a 14 plus minute interview. CNN host Wolf Blitzer on Wednesday quizzed House Oversight Committee Chairman Jason Chaffetz (R-UT) on the lengthy Planned Parenthood hearing he conducted on Wednesday. Blitzer first asked Chaffetz about a chart from anti-abortion group Americans United For Life that the congressman used during the hearing. The chart reflects the number of abortions and cancer screenings provided by Planned Parenthood between 2006 and 2013. 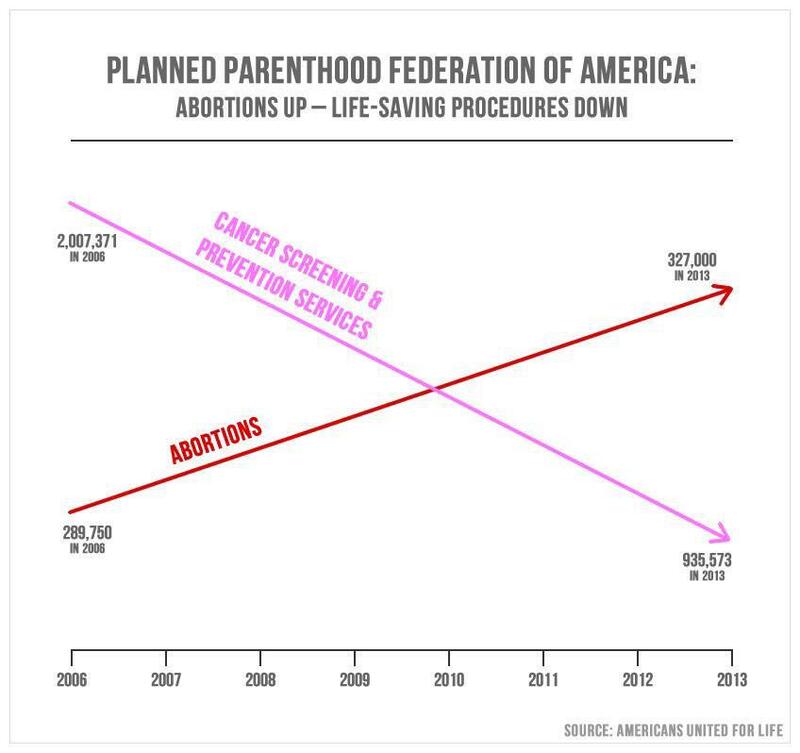 But the lines on the chart make it seem like the organization performs more abortions than cancer screening if one cannot see the numbers. Chaffetz said he did not believe the chart was misleading. "I stand by the numbers. I can understand where people would say the arrows went different directions, but the numbers are accurate. And that’s what we were trying to portray," he told Blitzer. The CNN host also asked why Chaffetz did not ask the anti-abortion group that released a series of sting videos targeting Planned Parenthood to testify at the hearing. The congressman said he did not want to interview the group until he had seen all of the footage they used for the videos. When Blitzer asked why Chaffetz had Planned Parenthood President Cecile Richards testify before the committee could review the videos, Chaffetz said, "Because it wasn’t a hearing about the videos. The hearing was about the funding of Planned Parenthood." Later, Blitzer said that about 75 percent of federal funding for Planned Parenthood is Medicaid reimbursements, prompting Chaffetz to tear into Planned Parenthood and the organization's expenditures. “You make it sound so sweet, but there are a lot of other things that they are doing with those: shared employees, shared assets, shared email lists that are engaged in these political activities," he said. "They’re so flush with cash, they spent tens of millions of dollars over the course of years sending it overseas. When they’re buying first class air travel and chartering aircraft … it doesn’t really sound like all that money’s really going to help that poor young woman who’s looking for a little health care." One last point. I believe I read above, Chaffetz does not feel the chart is misleading. A chart is a tool for viewing and assimilation of relationship data. In order for a chart to work in delivering its intended purpose it must be viewed after proper construction. Any "line chart developed with proper "X' and "Y" Axis with legends to facilitate viewer delineation and assimilation. One last look at the chart Chaffetz and his staff deployed as a hearing "gotcha. Sadly, we find millions who may view the chart and walk away salted with conservative misinformation. While a totally different type chart with a totally different set of data depiction, the item you are about to view stands right along with Chaffetz's flawed chart. Why do conservatives so often use misrepresentations of data to promulgate their deceitful antics? Earlier today, I posted about a phenomenon that has worked its way into my lexicon. As language changes and evolves, I am certain my adjusted lexicon (addition) will catch-on. There is little doubt as evidenced by a recent interview on CNN. Wolf Blitizer apparently tired of Michelle Bachmann's insane drivel. Blitzer uncharacteristically pushed an probed. In the end, Blitzer did not accdomplish the progress he had hoped. His problem was not his interview technique, nor his impatience with Bachmann. Bachmann has mastered the art of what I now call "GOPing." GOP and conservative lies comparable to an alternate universe of life we are just starting to grasp. It is possible Blitzer as any news room host knew Bachmann's nuances and idiosyncrasies and was prepared to tear into her protective moat. What do you think? I personally think she has serious cognitive issues that someone should diagnose to facilitate treatment. "Dishonorable Disclosure": a Tea Party and Anti-Obama strategy. The online mini-fantasy is baseless in its premise and the strategy's ultimate mission is flawed. The video is a carbon copy of Karl Rove's Swift Boat attacks on John Kerry as he campaigned against George W. Bush in 2004. Needles to say, but Karl Rove's Swift Boats had impact on the 2004 race. One has to wonder if Kerry Had won the election, if the 2007/08 financial crash might have been minimized as a financial tsunami. Apparently, Smith has or had information on his Facebook page about his alignment with the Tea Party. Any rational viewer and reader should question the motive and credibility of the on-camera spokesman. I would say he is probably very anti-Obama and that speaks to his probable lack of objectivity and more specifically motive. The Politicker Dot Com reports as follows. This is the second high-profile attack on the president from ex-elite military operatives. Last month, Ryan Zinke, a Montana State Senator and former commander of Navy SEAL Team Six, started a super PAC, Special Operations for America , which is dedicated to supporting Mitt Romney and hitting President Obama on leaks and on politicizing Bin Laden’s death. According to Mr. Zinke, these two super PACs are just the first salvo in what will be a sustained assault on the president by high-level ex-soldiers. 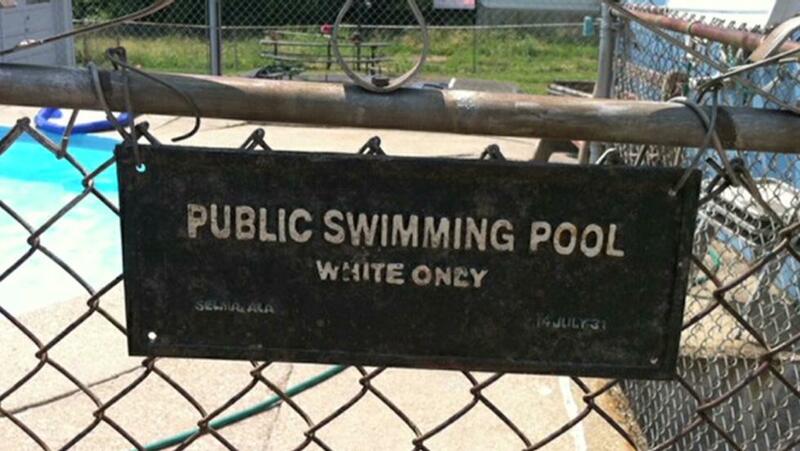 There are days when verbiage is completely unnecessary. Spend the eleven minutes on this video segment and ask yourself, "Am I really a republican?" If you r answer is yes, then ask yourself, "What happened to my party?" And then resign yourself to existential embarrassment. Do you see my point! And the man said he would be a great VP for Romney! Ron Paul, GOP Presidential hopeful and noted Tea Party Libertarian, has again commented he is not the author of a large set of racial slurs focused on African-Americans and homosexual Americans. 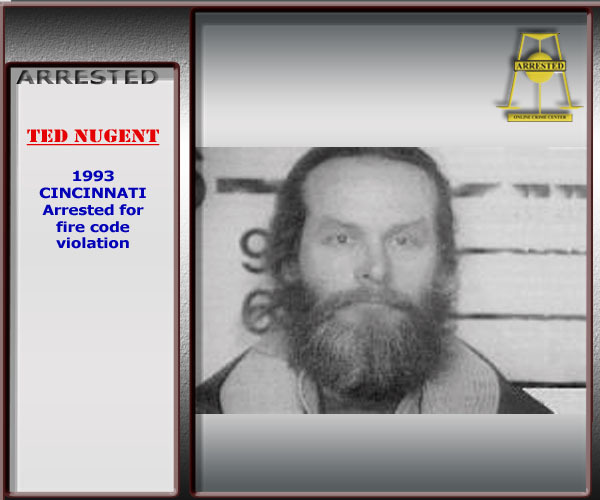 Paul's campaign for the US House in 1992 was accompanied by charges has political newsletter was laced with racially charged writings. In 1996 Austin Texas Lawyer Charles "Lefty" Morris distribute a set of alleged Paul comments. Morris distributed the comments as a Democratic opponent for the 1996 district congressional race. about the alleged comments and writings. During the CNN/Tea Party debate Ron Paul received a resounding applause for literally willing a young man to death. I should speak a bit more accurately. Paul and an anonymous Tea Party zealot joined in ‘let him die”. Paul did so with a typical rambling. Paul The Tea Party ‘callout clown’ tickled his cohorts with a guttural movie theater attention-getting antic. Huff Post , “Let Him Die” CNN Tea Party Debate…. Huffington Post is reporting reactions to Herman Cains;'s latest and probably most devastating accuser. As reported earlier Cain has been accused of involvement in a thirteen year long affair with a former Atlanta businessperson: Ginger White. Article link. Early reactions are not officially sanctioned by the GOP but the comments could be a predictor of what is to come. Cain reactions to the developing story has been complete denial. I think it fair to say that the denials were given to CNN's Wolf Blitzer and were given despite irrefutable evidence that Ms. White had unique access to Herman Cain via his cell phone.